A query string expressing the specific criteria should be added to the base URI and addressed to the model using an HTTP GET request. 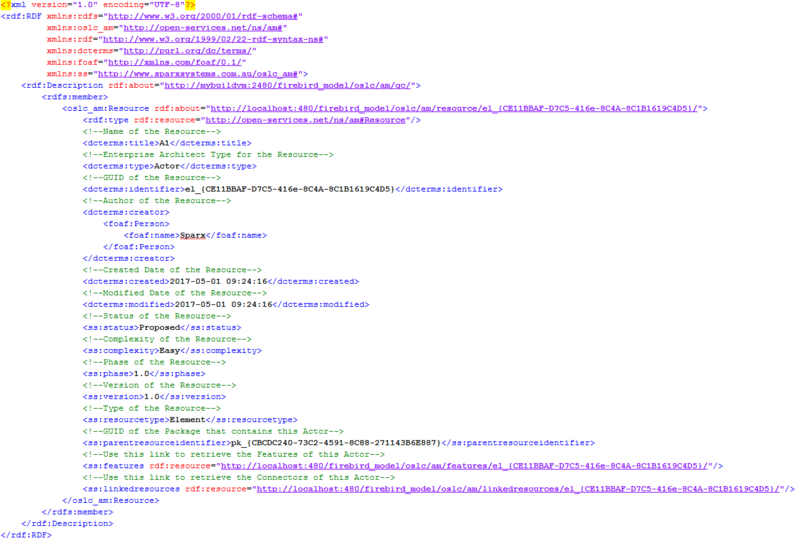 The response for this request will be in RDF/XML format. Currently, Enterprise Architect supports querying on Package, element and diagram properties only (and not on its features such as attributes, operations and scenarios). These parameters can be used separately or in combination to specify the criteria for retrieving the Resources. The response is as shown. The standard properties from the Dublin Core Metadata Element Set. The custom Enterprise Architect properties.